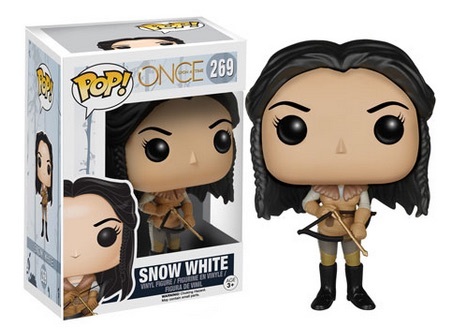 Funko Pop Once Upon A Time vinyl figures honor the television series set in the town of Storybrooke, Maine and its many fairy tale inhabitants. 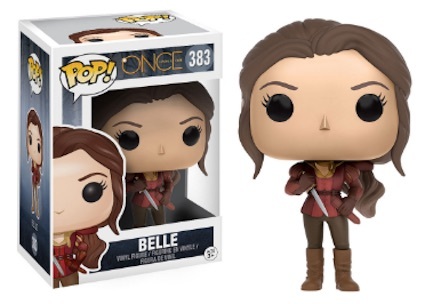 Once Upon a Time takes a real-world look at these famous stories and characters that all coexist in one small city. 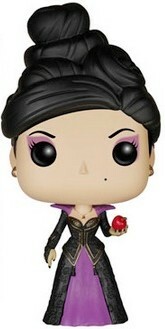 A total of six base figures came in the first series, including options for Jennifer Morrison as Emma Swan, Ginnifer Goodwin as Snow White, Lana Parrilla as Regina Mills (the Evil Queen) and Josh Dallas as Prince Charming. 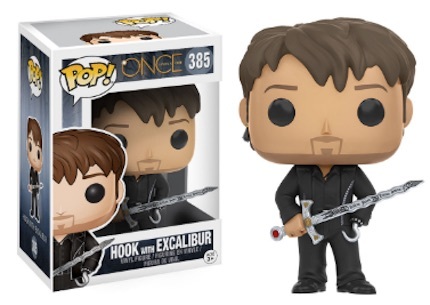 All these figures hold weapons. 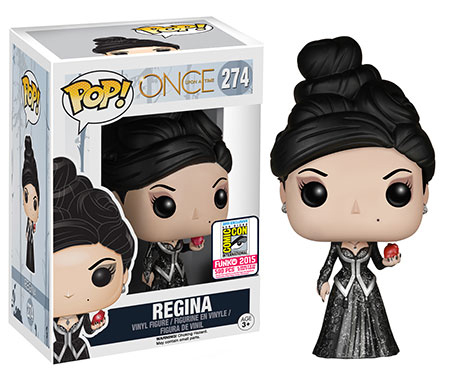 In addition to the primary releases, a limited version of Regina was originally available at the 2015 San Diego Comic-Con. 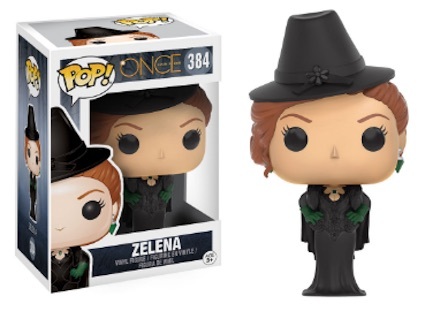 The main difference is the sparkly dress with a black color scheme. 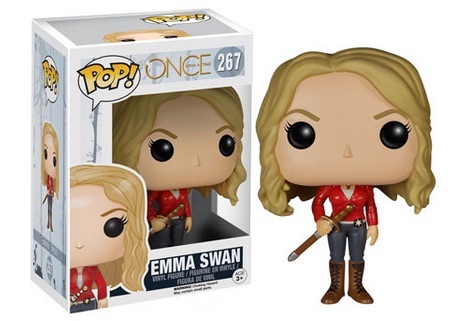 This figure carries a print run of 1,008 copies. 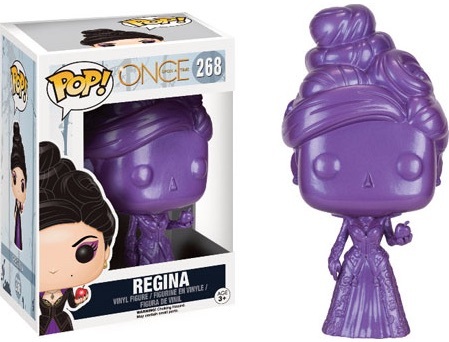 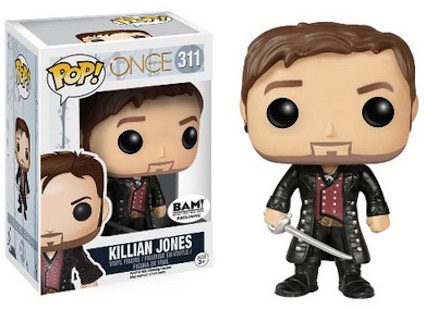 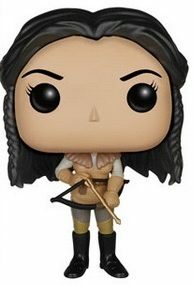 There is also another exclusive version for Regina and a figure for Killian Jones that was found at Books-A-Million. 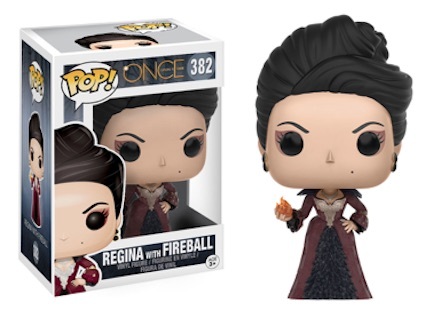 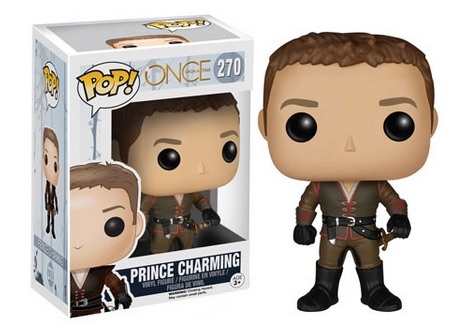 Funko Pop Once Upon A Time Series 2 adds variants for Hook and Regina along with debuts for Belle and Zelena, the Wicked Witch of the West. 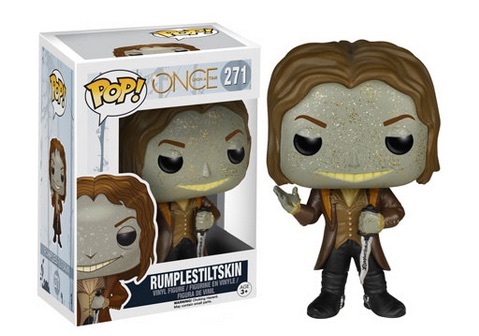 Numbered as part of the primary Pop! 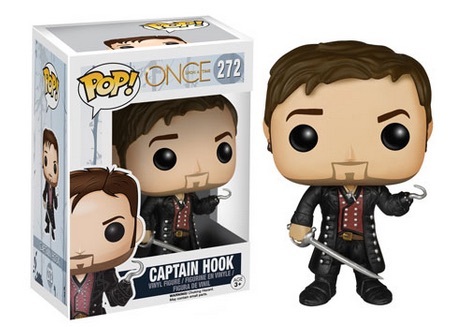 lineup, Funko Pop Once Upon A Time figures are approximately 3 3/4" tall. 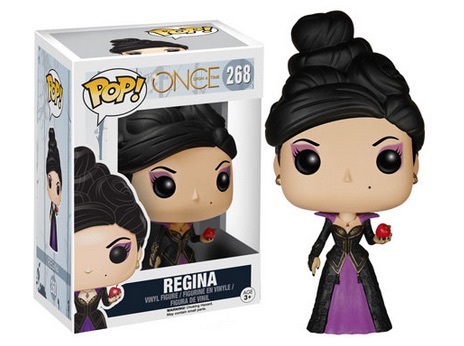 However, Regina appears to be a bit larger thanks to her hair. 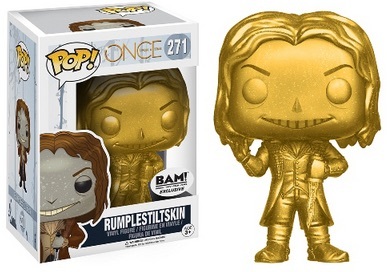 271 Rumplestiltskin Gold - BAM!